Colin Kaepernick’s attorney issued a statement Thursday on Kaepernick’s behalf in response to recent NFL tweets from President Donald Trump. The statement, from Kaepernick attorney Mark Geragos, quoted John F. Kennedy. 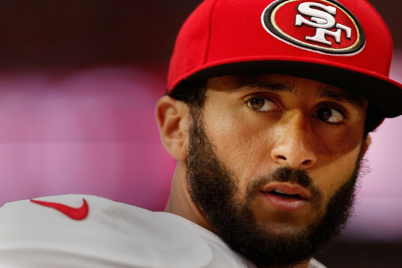 Kaepernick, who initiated the kneeling protest during the national anthem last season to draw attention to racial inequality and police brutality, remains a free agent. He filed a grievance against the NFL on Sunday, alleging owners have colluded to keep him out of the league. Thirteen NFL players, 11 owners and commissioner Roger Goodell were among those at a meeting in New York this week to discuss social justice issues. Kaepernick was not invited to the meeting. Goodell said afterward that players “should stand for the national anthem,” but he said no new rule would be put in place to penalize players. That drew a rebuke from Trump on Twitter.